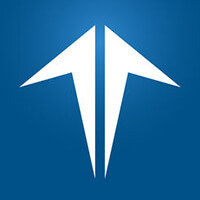 Find the best online broker for you. If there is one crucial lesson to learn about investing, it’s that compound interest is downright magical, but fees are its mortal enemy. Over the course of 20 years, just an additional 0.25 percent in fees on an investment of $100,000 — that’s just $250 in the first year — will cost you a whopping $10,000, even assuming a very modest 4 percent return. That’s why one of the most important factors to consider when you compare online brokers is its fees. No matter how well you invest, if you’re using a brokerage account with the wrong fee structure for your trading patterns, your returns might lag behind what you want and expect. So, here’s a brokerage fee comparison for when you decide it’s time to open a brokerage account. Brokerage fees are how your brokers are paid for the services they provide in buying and selling stocks on your behalf. It’s next to impossible to buy and sell stock without the services of a broker, so you should expect to pay at least some brokerage fees in the process of building your nest egg. Although fees come in all sizes and types, the advent of online brokerages has meant that a simple, flat per-transaction fee has become the norm for most brokers. With so many options to choose from, it’s wise to select your brokerage firm carefully. Depending on how you invest, different cost structures will ultimately result in higher or lower fees, so be careful to compare not just fees but where they’re assessed and what that might mean to you. 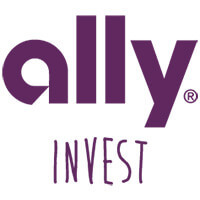 Ally Invest touts the charting tools and calculators available through its platform, promising an intuitive trading experience that is designed to benefit investors of all experience and education levels. Its fees are among the lowest across the board, including a $4.95 stock trade fee and a $9.95 fee on no-load mutual funds that compares well with its competitors. Additionally, there’s no account minimum, there are options for managed accounts, and you can get up to $3,500 in bonus cash with a qualifying deposit. 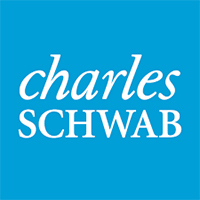 Schwab offers a range of tools and advisory services in addition to a fee load that’s among the lowest in the industry. Its portfolio evaluation tool can supposedly help track your investments and help you understand your portfolio’s performance. You can get either robo-advice or one-on-one professional guidance from a certified financial planner via phone or video call. 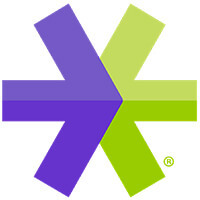 Originally founded in 1982, E-Trade executed the very first online trade in its second year of existence. Today, it has 3,800 employees and some 30 retail branches across the U.S.
With a stock trading fee of $6.95, E-Trade is not among the most inexpensive options, but for anyone making 30 or more trades a quarter, E-Trade shifts to reduced fees across the board, including $4.95 stock and ETF trades and $0.50 options contracts. What’s more, some 4,400 of the 9,000-plus mutual funds available come with no transaction fee. These are the best short-term stock investments for active traders. E-Trade also offers up to $600 and 60 days of commission-free stock and options for new accounts with at least $10,000 deposited in them. 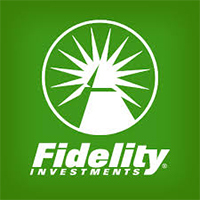 Founded in 1946, Fidelity purchased its first computer in 1965, beginning its commitment to using technology in investing. 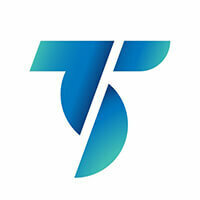 Today, the company manages over 500 mutual funds and has over $5.6 billion in customer assets under administration. Fidelity offers a range of tools and calculators — including the Fidelity Retirement Score — as well as articles and industry commentary through Fidelity Viewpoints. It also has trading fees that are competitive with other industry leaders, no annual account fees and the ability to trade Fidelity mutual funds and iShares ETFs fee-free. Some of the 20 best mutual funds are Fidelity funds. What’s more, Fidelity also offers a variety of advisory and wealth management services that are available with upgraded accounts, giving novice investors a chance to get the guidance they need. Firstrade offers considerable discounts on the services offered by the rest of the industry. The $2.95 per-trade fee for stocks is the lowest available, and the brokerage also offers fee-free trading on some 700-plus ETFs. Using insider secrets will help you make the most on ETFs. You will also receive your trade commission-free if your qualifying order takes longer than 0.1 seconds to execute, and the company’s $9.95 fee on no-load mutual funds is tied with Ally Invest for the lowest out there. 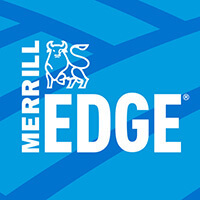 Merrill Edge is a subsidiary of Merrill Lynch, the legendary trading house founded in 1914 by Charles E. Merrill and Edmund C. Lynch and acquired by Bank of America during the 2008 financial crisis. The platform offers $6.95 stock trades with no minimum opening investment, as well as the option to upgrade to different accounts that offer guided investing or access to a financial advisor. Not only can you get guidance on building your retirement account, but you’ll get access to investment ideas and Merrill Lynch research. What’s more, if you have at least $50,000 in your account and a Bank of America personal checking account, you can become a Preferred Rewards Platinum client and trade for free. 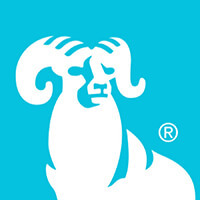 T. Rowe Price is the priciest trading platform of the options listed here. The per-trade fee of $9.95 is already the highest option, and even that can be misleading as it only applies to accounts with 30 or more trades in the last year. Trades will cost $19.95 — four times the $4.95 rate that many other brokerages are charging — if you haven’t been active on its platform. What’s more, there’s a $30 annual account maintenance fee if you fall under five commission-generating trades for the previous year and a $2,500 account minimum for non-retirement brokerage accounts and a $1,000 minimum for a brokerage IRA. But there are ways you can avoid those fees entirely. Most notably, you can trade a specified bundle of ETFs and mutual funds fee-free, giving passive investors a simple option for avoiding the relatively steeps costs elsewhere. The ETFs are those in the FundVest No-Transaction-Fee ETF program without fees, giving you about 170 options to choose from, and a range of mutual funds can also be traded without cost, including T. Rowe Price funds. You also get access to a range of tools to help you make investments, including the Mutual Fund Compare Tool, Morningstar Portfolio Manager and tools specifically designed for retirement investors. 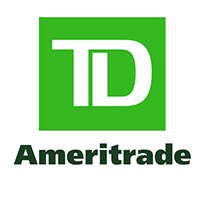 The $6.95 stock trade fee charged by TD Ameritrade is higher than many of its competitors’, and that climbs to well over $30 a trade for trades made over the phone or broker-assisted trades. A fee of $49.99 also applies to no-load mutual funds, which is the highest, save for Charles Schwab. But the platform offers some 300 commission-free ETFs that you can trade without paying fees, a wide range of educational resources and research tools and “elite-level” trading tools and resources available for advanced traders through its thinkorswim platform. TradeStation was founded by two classical violinists who immigrated from Cuba only to take an interest in the markets and how computer software could be leveraged to improve investing. Today, TradeStation prides itself on its integration of technology to provide professional-grade tools to its clients to help them mold their trading strategies, including EasyLanguage, a code specific to TradeStation that allows investors to turn their investment strategies into coding language that TradeStation’s platform can execute. Although these resources are geared toward knowledgeable traders and investors, even novice investors can still make use of the tools and educational resources. And, at just $5 a trade, the fee structure is competitive, including just a $14.95 fee for trading no-load mutual funds. Since its founding in 1975 by John C. Bogle, Vanguard has stood for one thing above all else: reducing fees and commissions. 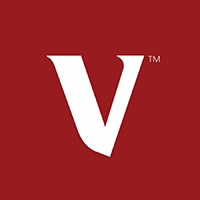 In fact, Vanguard was responsible for putting together the very first index fund, sparking a revolution in passive investing that continues to grow to this day. And as such, one of the biggest perks to a Vanguard account is access to Vanguard ETFs and mutual funds without any trading costs. Learning about the best Vanguard retirement funds could be a boon to your boosting your investment returns. Likewise, Vanguard offers a range of tools and educational resources to learn more about the benefits of ETF and mutual fund investing as well as a wide variety of other investing principles. Click to learn how to avoid bank fees. GOBankingRates > Investing > Brokerage > Brokerage Fees Comparison: Where Will You Keep the Most Money?